Show Me Rotary is a multi-District PETS/SETS conference held every year in central Missouri. The goal is to bring together all the incoming Presidents and Secretaries before they start their new year on July 1st. Hotel Accommodations are separate from your event registration. 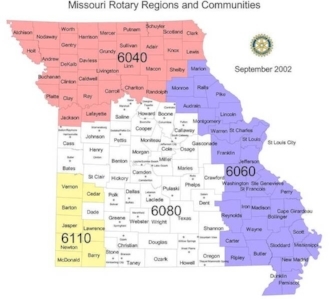 Hotel reservations for Show Me Rotary are separate from registration for the meeting. You need to do both and the earlier the better, since the hotel often sells out. The last date for discounted hotel rates is March 2nd.. They will honor the rate after the cutoff date as long rooms are available. the group code: "190328SHOW" when making your reservation . The Capitol Plaza Hotel is holding a block of rooms for our group code "Show Me", but will release the hold approximately one month prior to our meeting. This year's rate for a standard room is $ 95 plus tax. If your club has a sales tax exemption letter from the State of Missouri, be sure to discuss this arrangement with the hotel prior to your arrival to be certain you bring the proper documentation with you.